It’s that time again. Below we have identified some exciting things to do in South Florida this weekend. As always, if you are aware of something fantastic that we missed, please add it in the comments so we can all benefit! Also, visit the linked sites to confirm date, time, location and details. Sometimes things change. If you are aware of an event we haven’t mentioned, please let us know so we can share it! 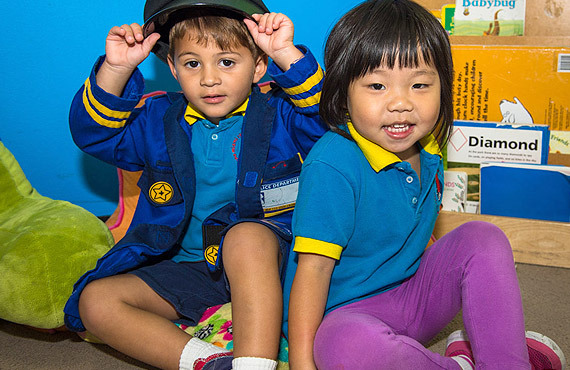 Free Third Friday at the Miami Children’s Museum, 4:00pm – 8:00pm: Visit the Miami Children’s Museum for free! This event recurs on the third Friday of the month through January 18th. Take a trip and see all the exhibits the museum has to offer. For more information, click here. ArtsPark Funtastic Friday and Movie Night 5:00pm – 10:00pm:Bring the whole family, and some friends, to ArtsPark for music, face painting, bounce houses and games. The movie “Frozen” will be shown at 8:00pm. Information available here.Also, this evening the holiday tree will be lit at this event. And, guess what? Santa is coming! You can even take a picture with him! Friday Night Sound Waves, 6:00pm – 9:00pm: The intersection of Las Olas Blvd and A1A is the place to be for weekly Friday night concerts. This week come see Mr. Nice Guy. Visit their website. website for details on this concert and future ones as well. The Face Of Winter, 8:30pm:The Broward Center is the site for the Warren Miller Entertainment’s Face of Winter. This film visits some of the most beautiful winter locations. Click here for more information and for tickets. 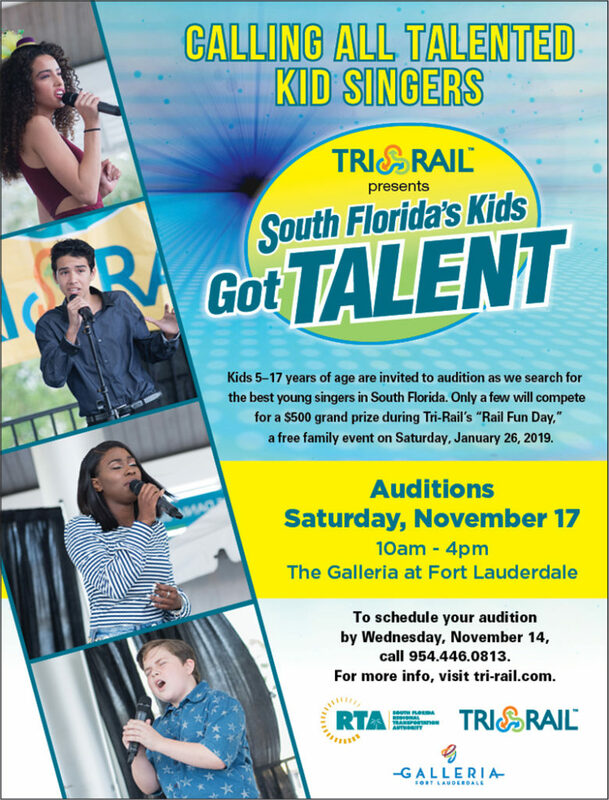 Auditions for South Florida’s Kids Got Talent, 10:00am – 4:00pm:Does your child have talent? Do they want the opportunity to show it? If so, consider attending these auditions at the Galleria Mall! They are looking for singers, aged 5-17. You must register in advance. Visit their website for details. Family Fun Puppet Festival, 10:00am – 4:30pm:The Miramar Cultural Center is the site for the fun puppet festival. There will be stilt walkers, puppeteers, food trucks and more. You can even make your own puppet. Click here for more information. StoryBook Festival, 10:00am – 4:30pm: Visit the Southwest Regional Library in Pembroke Pines for this fun family event. There will be costumes story tellers, music and magic! The first 1000 kids even get a free book! Visit their website , this is going to be a great event! Farmer’s Market at the Shops at Pembroke Gardens (in Pembroke Pines ),10:30am – 7:00pm : Come by for a day of yummy shopping! This is the perfect place to grab your fresh fruits and veggies and a whole lot more. Check out their flyer. Taste of Lauderdale Lakes, Food, Music, Arts & Culture Festival, 11:00am – 6:00pm: This free event (with registration) will feature, art, music, live cooking, restaurant showcases and more. Visit their website for more details. Movie in Park, 6:00pm – 8:00pm: “Peter Rabbit” is showing at the Margate Sports Complex. Bring your blankets and chairs and enjoy this outdoor showing along with beautiful weather. Click here for information. Holiday Fantasy of Lights 5K Run and Walk, 6:00pm: Tradewinds Park in Coconut Creek is the site for this fantastic race through the holiday lights! There is also a kids fun run! Visit their website for details and registration. The Color Purple, 7:30pm: This Tony Award winning show will be at the Dillard Center for the Performing Arts. Take advantage of the location and get your tickets now! Additional showings all weekend. Click here for details. Flanigan’s Rockin Rib Run, 7:00am: Vista View Park in Davie is the site for the 6th annual Rockin Rib Run! This 10K race is extremely popular; there is a kids race as well. Details are available on the race page. 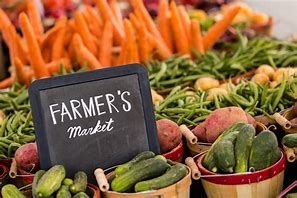 Tamarac Farmers Market, 9:00am – 2:00pm:Veterans’ Memorial Park is the site of this fabulous farmers market which occurs every Sunday in the fall. Stop by and pick up some delicious treats! Click here.for the City’s calendar. Parkland Farmers Market, 9:00am – 1:00pm:Held at the Equestrian Center on Ranch Road, this family friendly market has a bounce house, great shopping and yummy donuts. 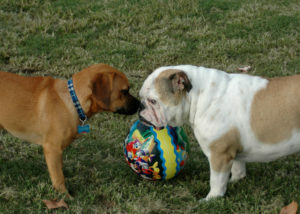 Make it a point to visit and bring your kids and pup! Check out their website. Holiday Crafts Show and Green Fair, 9:00am – 4:00pm:Located in Davie at the Bergeron Rodeo Grounds this market and crafts show (also operating on Saturday) is a the perfect place to get some holiday shopping done. Visit their website. for details. Annual Craft & Talent Show at Weston Town Center, Noon to 6:00pm:Save the date for this annual favorite. The Weston Town Center is the site for this day long event. Visit their website for details. 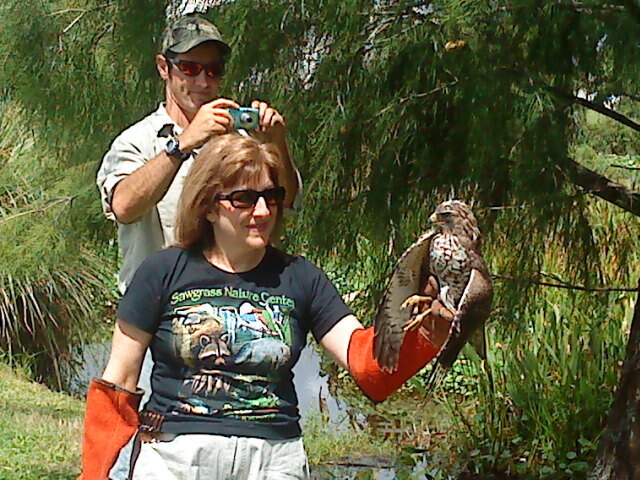 Be Kind to Animals, 11:00am:Visit the Sawgrass Nature and Wildlife Hospital for this weekly program where guests are introduced to a new animal ambassador. Click here for more information. Live Music, Gulf Stream Park, 7:00pm – 9:00pm:This outdoor shopping area presents live music several nights a week. Check out their website for who is playing! This is a great way to wind down the weekend. The King and I, November 20th-December 2nd:Mark your calendar now for this classic musical showing at the beautiful Broward Center. Click here for ticket information. Christmas on Las Olas, November 27th:Save the date for this annual favorite. It’s the 56th anniversary of this favorite celebration. Come visit as Las Olas welcomes the holiday season. There will be sledding, skating, holiday music, food and more! Visit their websitefor details. The Nutcracker, December 1st:The Lauderhill Performing Arts Center is hosting a holiday presentation of The Nutcracker. Click here for details. Florida Panthers V. NY Rangers, December 8th: 7:00pm is the start time for this exciting hockey game. Click here for ticket information. Legally Blonde, December 13th – 30th: The Broward Center is the home to this funny musical. Visit their website for ticket information.